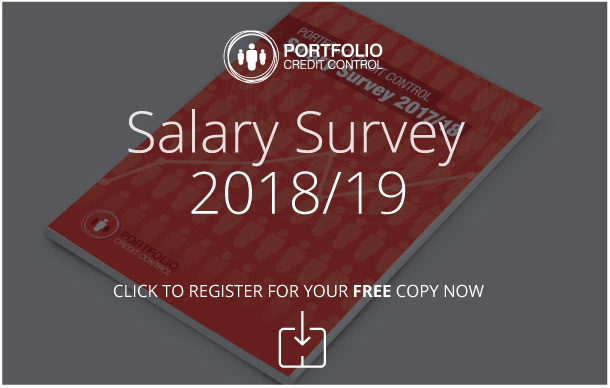 The recruitment experts at Portfolio Credit Control can help you source the best candidates for your collection officer vacancies. Our team is very adept at assessing whether or not an applicant has the skills to succeed within your business. Collection officers require a similar skill set to many other credit control employees, and it is important to make sure your chosen applicant will be able to excel straight away upon joining your business. This role requires staff to deal with unpaid and aged debts, so the successful applicant will need to possess patience and determination to resolve these matters. They must be able to communicate the situation sensitively to the client, giving them all the necessary information and advising them on how best to proceed. Any role involving working with money naturally needs someone with strong attention to detail. Accuracy is essential in credit control, and a good collection officer will make sure all client debts are settled promptly and in full. With mistakes so costly in this field, it is worth investing the time to make sure only the most capable candidates are hired. When dealing with clients, particularly on a subject as sensitive as debt, strong interpersonal skills are needed. Staff will have to use this ability on a daily basis, communicating not just with clients but their colleagues as well. Finally, make sure your new team member has the required level of technical skill to successfully carry out the role effectively. For collection officer jobs, this means proficiency in Microsoft Access, Excel or Oracle Database. Portfolio can assign one of our dedicated recruitment consultants to your campaign, in order to help you find the best available candidate in the quickest possible time. We can find the most suitable applicants and make sure only the truly credible people are sent forward for an interview at your company. This saves you time and gives you a strong talent pool to choose from. This system has helped companies find full time and part time employees for a range of roles, from sales ledger jobs to credit manager vacancies. Call us on 020 7650 3199 for more information. THE SUNDAY TIMES 100 BEST SMALL COMPANIES AWARD FOR 2017! "Very precise understanding of my requirements and maintained regular contact with me. The speed at which the whole process was carried out was really impressive. Overall Portfolio Credit Control delivered an excellent service and I would recommend them to anyone."